Considering treatment for an eating disorder can be an overwhelming process. Our intake staff will be here with you every step of the way to guide the process. 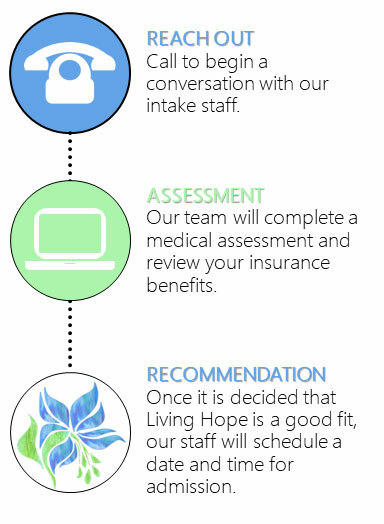 Living Hope Eating Disorder Treatment Center offers a variety of programs and services to help put you or a loved one on a path to lasting recovery. Call us today to begin a conversation with our intake staff. 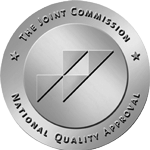 Our team will complete a phone or in person assessment and review your insurance benefits to determine coverage and any out of pocket costs. Once it is decided that Living Hope is a good fit, our staff will schedule a date and time for admission.